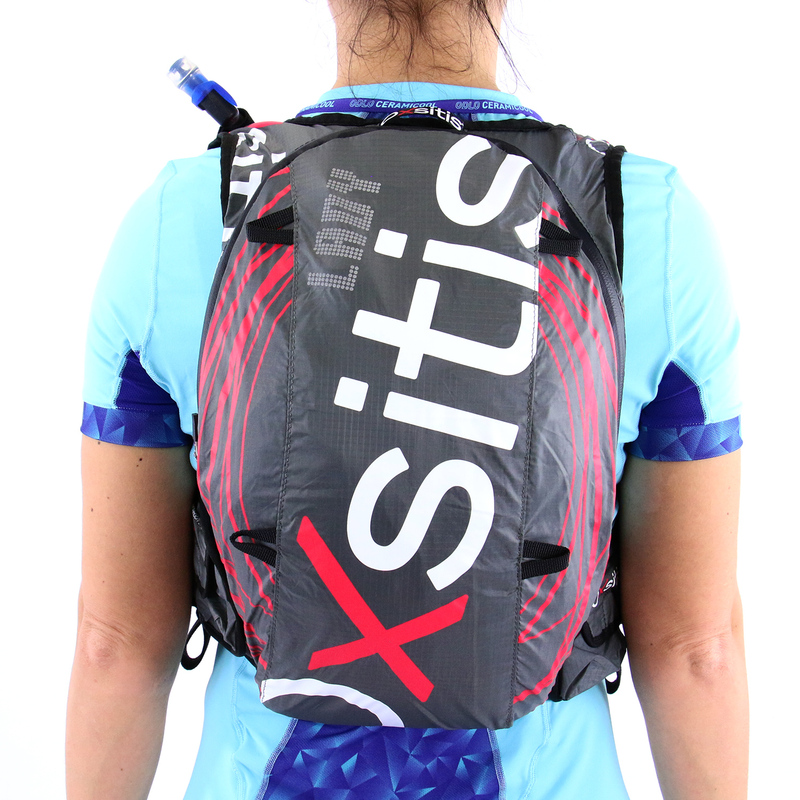 Technical backpack for WOMEN with a storage capacity of 17 L, equipped with a 2L water pocket, offering unique comfort thanks to its storage and anatomical fit. Ideal for long distances. The LADY 17.X bag is designed for women morphology, to meet the needs of long-distance runners. 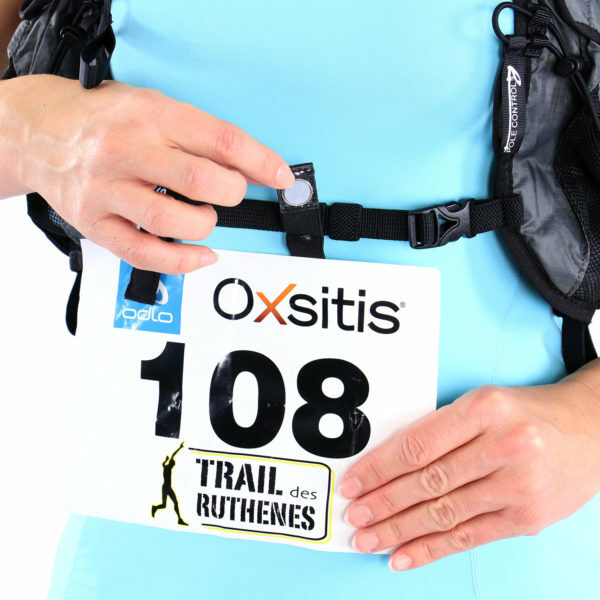 This lightweight backpack allows you to carry the essential equipment for Trails or Ultras. Perfect balance between lightness and stability. Equipped with the Airback Control ventilation system to maximize the breathability of your back, it offers optimal comfort for the Trail, but also for long mountain bike rides or day trips. 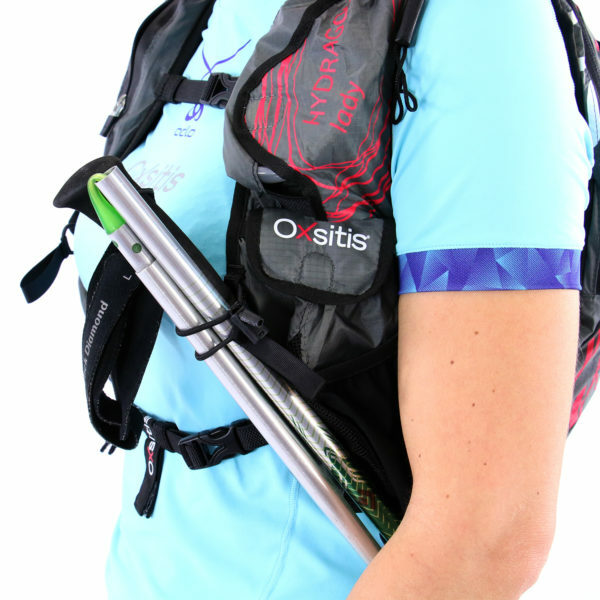 Nature runners and sports hikers will be seduced by its versatility and its many accessories for fixing sticks, easily accessible with its quickly reclosable pockets by magnet. Equipped with our latest innovations to simplify its use, it allows you to experience your adventures in nature to the full. Keep your things dry with its waterproof slides and self-locking sliders. Anatomical fit with unique adjustments: lateral Velcro to adjust your bag according to its capacity and your size.Pectoral and ventral adjustment, for a better distribution of the load on the back, and a perfect stability, without disturbing the breathing. 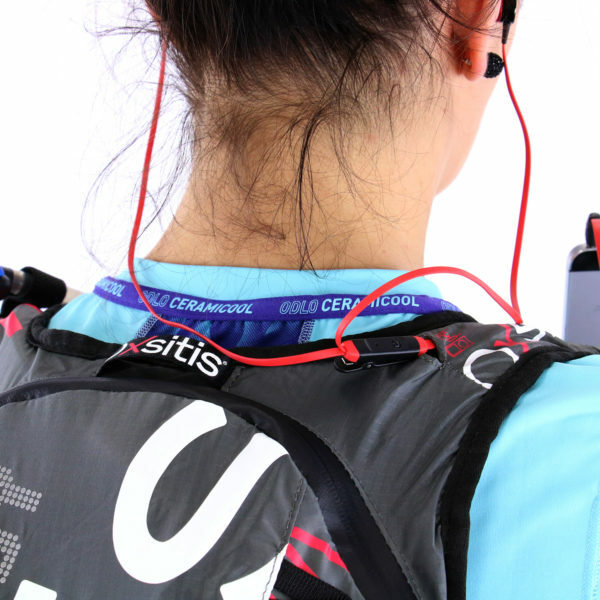 Smartphone pocket on right shoulder strap, with earphone access, and with self-locking slider. 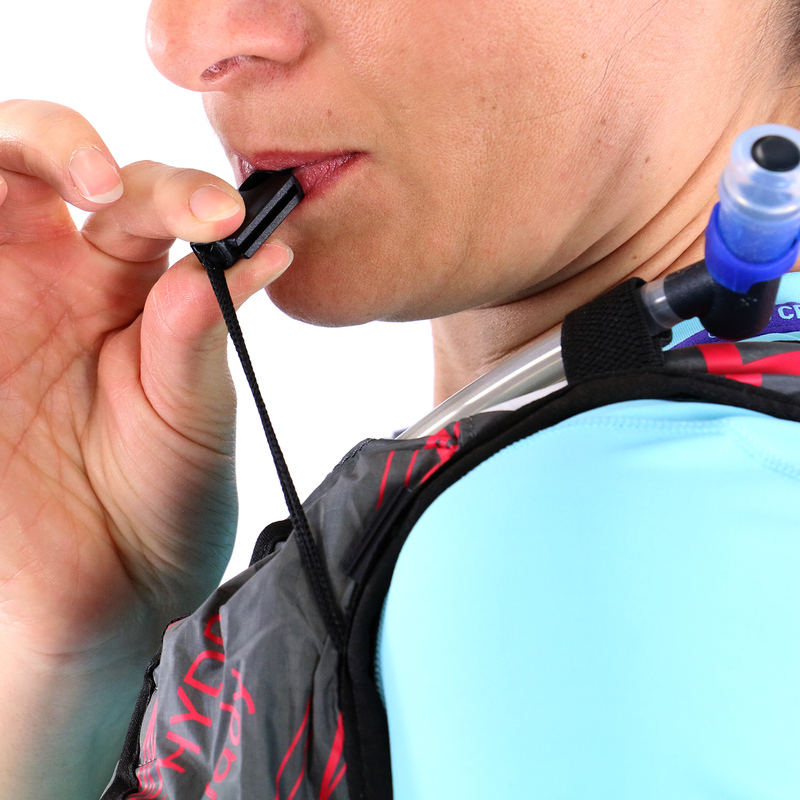 Compartments designed to accommodate 2 flexible 500ml flasks.Bi-elastic compartments, made from the experience feedback of our elite athletes to transport their bars, gels, very easily accessible and without tossing.Compartments with magnetic closure on the 2-lateral adjustment velcros, in order to store 3 energy bars on each side.Central compartment easily accessible by a zippered closure. 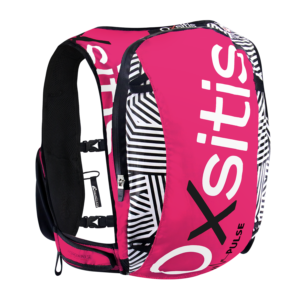 This central compartment is itself segmented by several independent compartments to easily store a water pocket, its refill clothes, or its comfort equipment. Separate the heavy from the light, the dry from the wet. 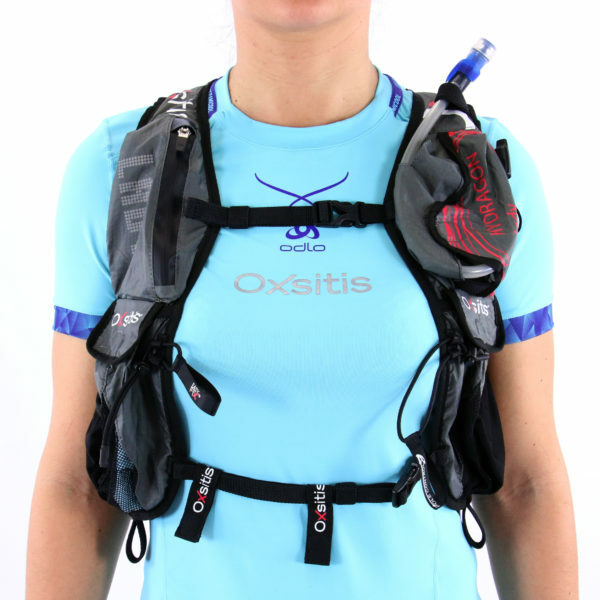 These very fast access pockets offer a great organization to store your essential or occasional equipment.4 Reflective loops for more security that allow you to attach a Mesh net accessory, to increase the volume of the bag if necessary2 Adjustable magnetic bib holders positioned on the backpack's chest adjustment strap to securely fix and remove your bib very easily and quickly in competition. 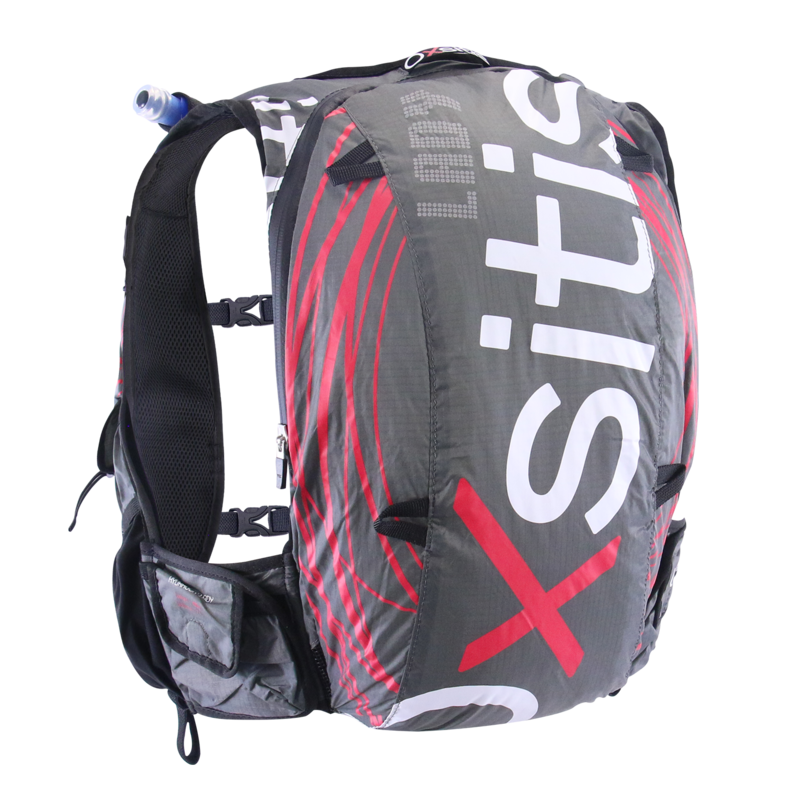 Bag sold with 2L water pocket. 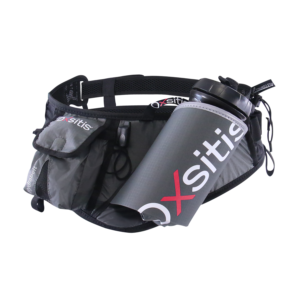 Compatible compartments to accommodate any 500ml soft flask on the front of the bag. 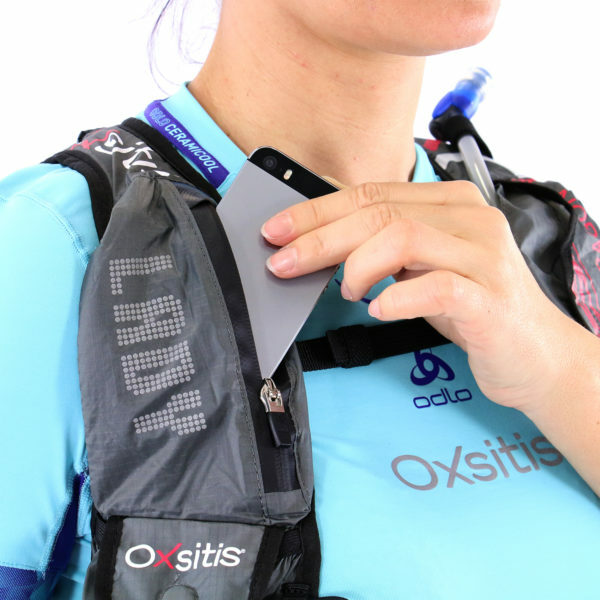 For increased safety, Oxsitis backpacks are equipped with a whistle that is easily accessible without putting the bag down and reflective strips. Oxsitis backpacks are worn close to the body for maximum stability and comfort thanks to their breathable materials. Choose the size of your bag based on the usual size of your t-shirts. 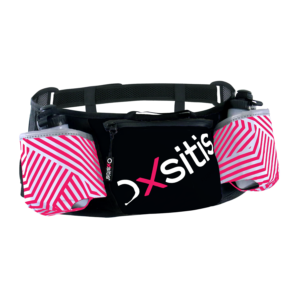 Oxsitis bags are made of technical materials with water-repellent properties. Do not use laundry or detergents. Wash your bag with a soft sponge.